Wine Tours in San Francisco – Which Wineries to Visit? Wine Tours in San Francisco — Which Wineries to Visit? There are so many options when choosing wine tours in San Francisco, California. The Napa Valley and the Sonoma Valley are among the most famous of the wine countries. With their combined 1000-plus wineries and tasting rooms, this will definitely leave you to second-guess which wineries you want to visit. Fortunately, Balloons Above the Valley (BATV) is there to bring you to some of the wineries in Napa and Sonoma. The pioneer in hot air balloon tours in the wine country features several hot air balloon and wine tours packages. Our two-day “San Francisco Balloon and Wine Tour Package” is one of our most sought-after travel deals. Apart from the hot air balloon rides, guests will also have the chance to visit two wineries in Napa and two in Sonoma. Yes, the wineries will be chosen for you, so that does away with your trouble of guessing. Napa Valley Wine Country Tours partners with BATV and transports guests around the Wine Country inside a luxurious bus limousine. Napa Valley Wine Country Tours will take guests to two of the any wineries in Napa including the featured ones like Bell Winery, Clos Du Val Winery, Bennett Lane Winery, Madonna Estate, Jessup Cellars, Grgich Hills Winery, and Andretti Winery as well as over a hundred wineries in Napa City, Yountville, Oakville, Rutherford, St. Helena, Calistoga and Angwin. Aside from the two wineries in Napa County, guests will also be transported to two of any of the Sonoma wineries such as Kaz Winery, Robeldo Winery, Russian River Vineyards, Lancaster and Lancaster Estate as well as the wineries in Kenwood, Glen Ellen, Santa Rosa, Windsor, Forestville, Healdsbug, Sebastopol, Geyserville, Cloverdale, and Guerneville. Balloons Above the Valley and Napa Valley Wine Country Tours will be able to take care of those matters for you, and who knows, they will even provide surprises during your winery visits. Apart from visiting the wineries, the San Francisco Balloon and Wine Tour Package will also provide other perks such as olive oil tasting by The Olive Press and wine tasting at the Jacuzzi as well as picnic-style lunches. 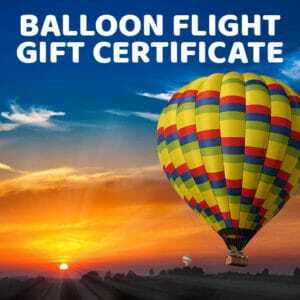 The second day of this package is the day of the sunrise hot air balloon ride! BATV guarantees guests an unforgettable hot air balloon flights over the Napa Valley. Up in the sky, guests will see neat and lush rows of vineyards, trees and shrubs, sparkling waters, rolling hills and valleys, and the bustling activity down below, all bathed by the glow during sunrise. Apart from the spectacular hot air balloon rides, BATV also offer guests other treats such as pre-flight breakfasts to wake up the senses and delicious, fresh seasonal post-flight brunches. You will enjoy the post-flight brunch where you will be able to discuss the wonderful just-concluded flight! The San Francisco Balloon and Wine Tours package will provide you two days of discovery, wonder, and excitement in touring around the wine country for only $836.50 (per two people). Call us to verify the price for the package has not changed at 800-464-6824. If you truly want to remember wine tours in San Francisco, you may not want to settle for ordinary wine tours. Balloons Above the Valley not only helps you discover the wineries from Napa and Sonoma up close, but you will also be able to see them from a bird’s eye view while riding a hot air balloon in a beautiful sunrise morning.